Chenrezi is the Bodhisattva or Deity of loving kindness and compassion. 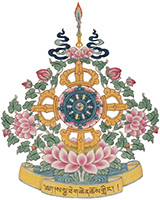 The Chenrezi service and meditation is the central spiritual practice at Sakya Monastery. It is very easy to practice and enables you to develop loving kindness and compassion in your life.